As we know, it has been recently and scientifically suggested from DNA studies that all of humanity we see around us today has a common place of origin. Where is this common place of origin? It appears that all humans of today can ultimately trace their ancestral roots back to…Africa. 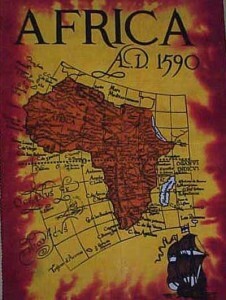 This would indicate that the African people ARE the world’s Aborigines. The writings herein are informative pieces that touch on facts supported from well known and not so well known scholars and scientists from varying parts of the world. The world is a wonderfully diverse place! People come in all shapes and sizes, with obvious differences in abilities and appearances. There are many ‘faces of Man’ found throughout the world. Although the faces are different, the genetic structure, the DNA, is not so different as most people might believe. Over 99% of the DNA in all people is identical. This is not an accident. Most of the proteins that carry out the biochemical functions of a human body are made exactly the same from one person to the next. The remaining one percent, however, accounts for people’s diversity. It can also be used as a tool to determine how genetically “related” people are. 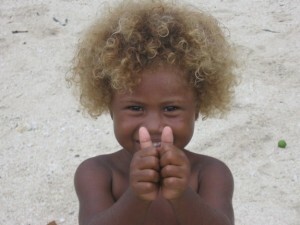 Two visual examples: The first image shows a child from the Solomon Islands whose origins points to Africa. 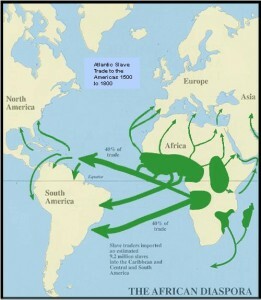 The second image shows the San (Bushman) people who are the African origin of another group. Which group? Click each image to learn more. Our first stop will be the region of Middle America. From there, we will travel to the Far East. We will make a stop in Arabia, as we move on to India. We will pause in India with a special note before reaching Thailand and China. We will move on to Australia, the Mediterranean, Europe and finally the United States. There will be a few other visits too. But for now, lets begin our exploratory journey of our world’s connective origins with Africa in Middle America.